The Belize Rural South United Democratic Party (UDP) town council slate hosted their endorsement convention on Saturday, December 2nd at the Honourable Louis Sylvestre Sporting Complex. Current San Pedro Town Council Members, Daniel Guerrero, Gary Grief, Hector Alamilla, Ruben Gonzalez, Severo Guerrero Jr., Gabriel Nunez, and Flora Ancona are aspiring to be re-elected for another term in office. The event saw a large crowd of supporters, as well as UDP leaders from various parts of the country showing their support. Invited guests included Deputy Prime Minister Hon. Patrick Faber, Belize Rural South Representative, Hon. 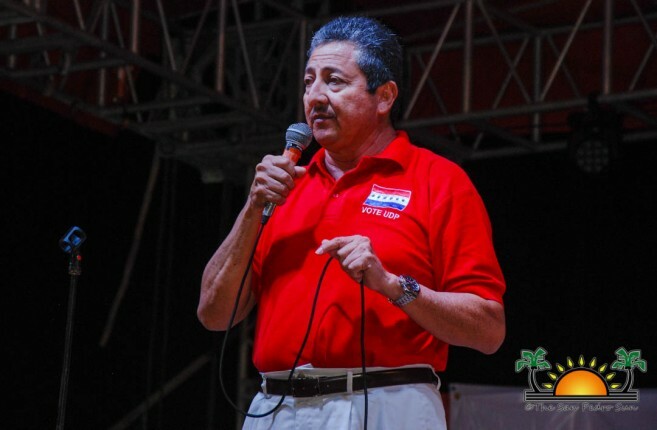 Manuel Heredia Jr., Belize Rural North Representative, Hon. 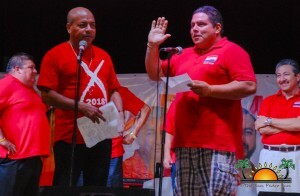 Edmond Castro, Corozal North Area Representative, Hon. 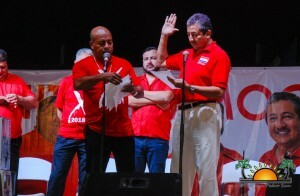 Hugo Patt, Belize City Mayor, Darrel Bradley, and Belize City aspiring mayoral candidate Dion Leslie. 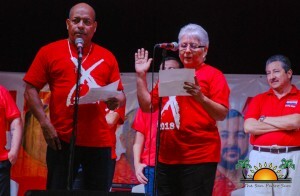 The convention began with the singing of the National Anthem, followed by a short prayer delivered by Leticia Nunez. 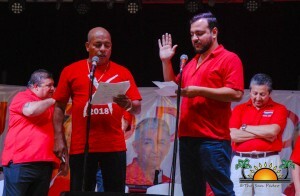 San Pedro Town’s former mayor, Elsa Paz then welcomed everyone in attendance. 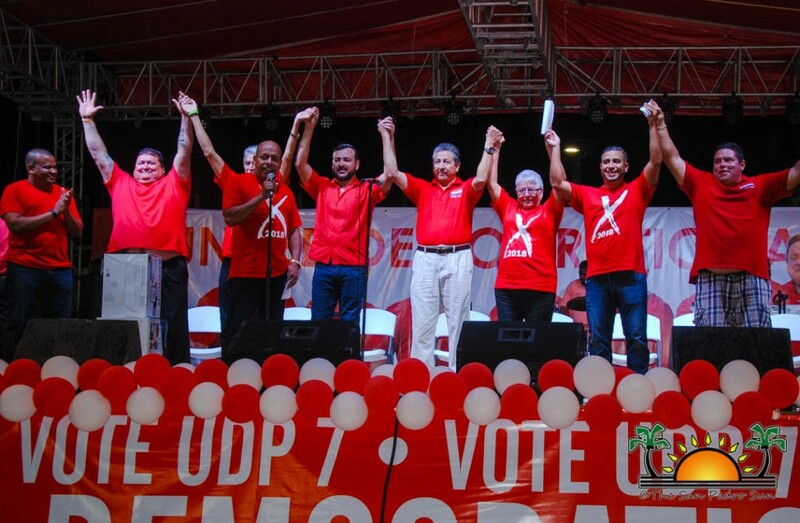 All candidates then took their seats on stage after being nominated by island residents. 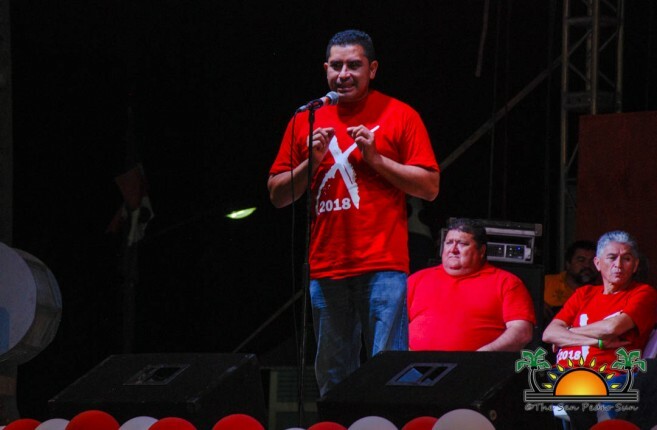 Mayor Guerrero didn’t just accepted his nomination but shared a couple words with the crowd. 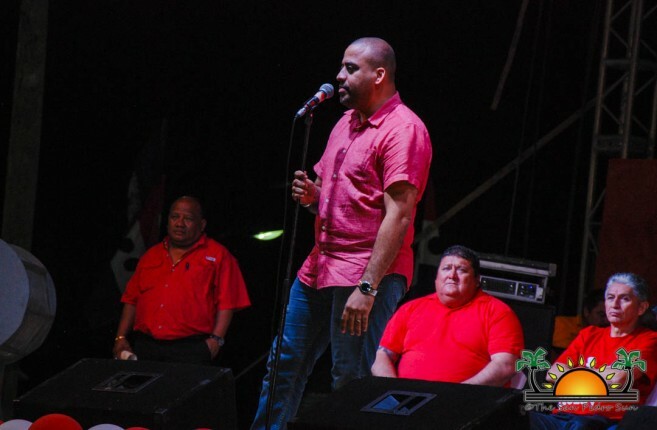 “According to the Peoples United Party (PUP) we have not been doing anything for the island, but look at all the investments that are going on. We are here to work not like the PUP that is only good to criticize,” he said. Guerrero continued by bringing up the recent scandal where the Caribbean Court of Justice (CCJ) ordered the Government of Belize (GOB) to pay a sum of $88 million dollars to Belize Bank, from a loan that was granted to the GOB under the leadership of former PUP Prime Minister, Said Musa. “The $88 million dollars, is just one example of the various secret and corrupt administration that PUP was doing. They might say we spend a lot of money, but it goes right back to people in various ways. We are always everywhere providing our help. 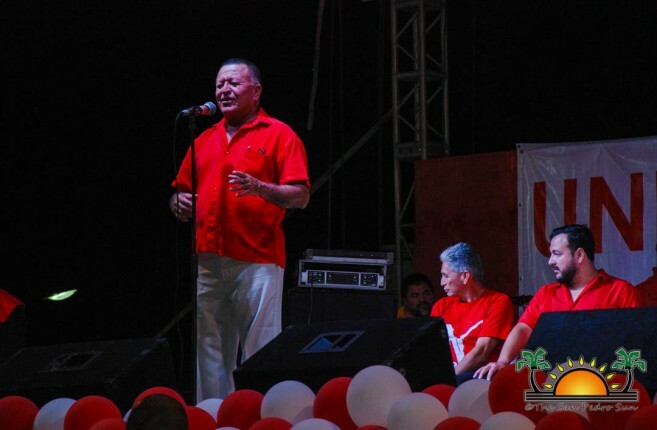 That’s why I say to you, my fellow islanders to make the right decision and vote for UDP on Election Day,” said Guerrero. 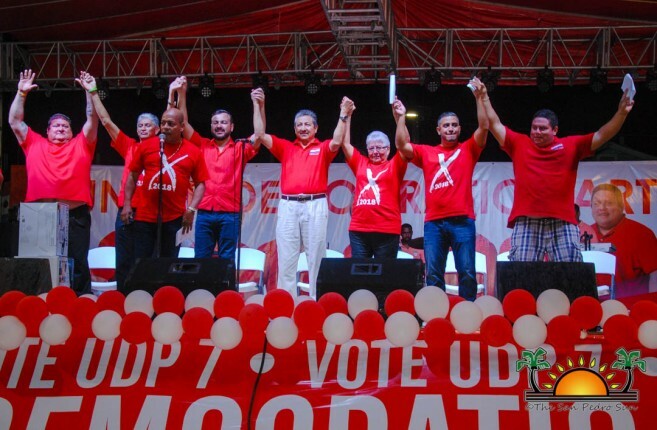 All 7 UDP candidates were then invited one by one to the podium for the official endorsement, where candidates raised their right hands as they committed themselves to take all the responsibilities of their role, as well as to sign documentation alongside with the Deputy Prime Minister Faber. 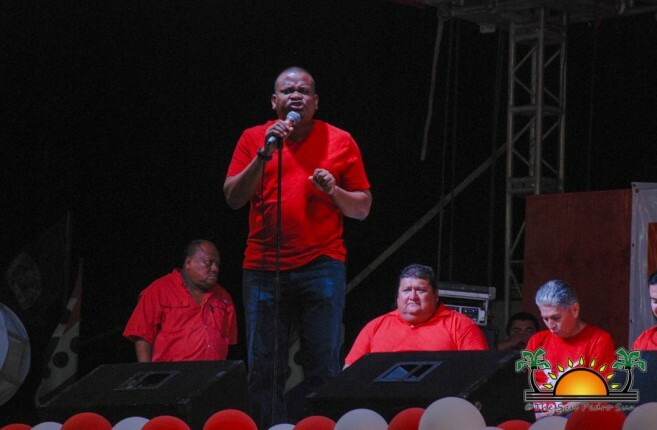 The podium was then open to the first speaker of the night, Hon. 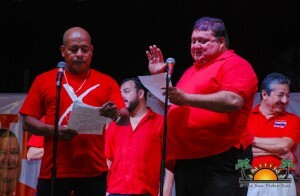 Patt, who also focused on the recent judgment made by the CCJ. “The only thing I say yes too, is to the Prime Minister’s decision. As I agree with his decision of not paying those $88 million dollars. 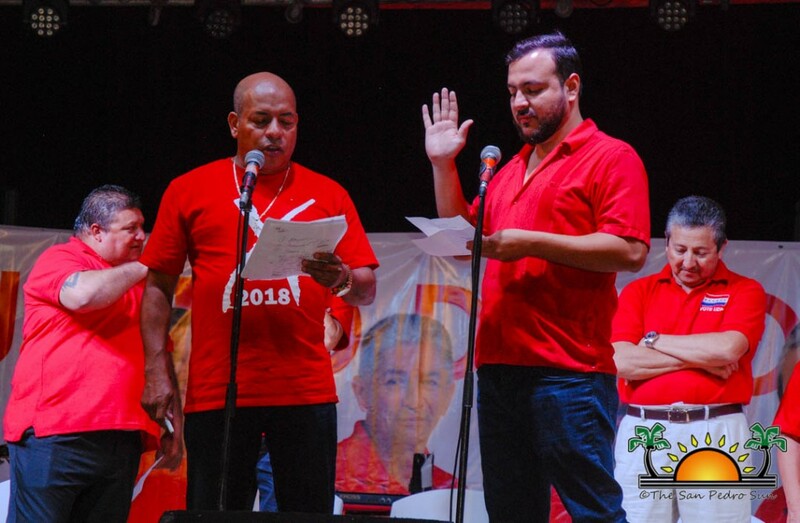 Us paying for that debt will deprive San Pedro Town of receiving the hospital it needs, fixing our streets, investing in education and many other things that can be done,” he said. 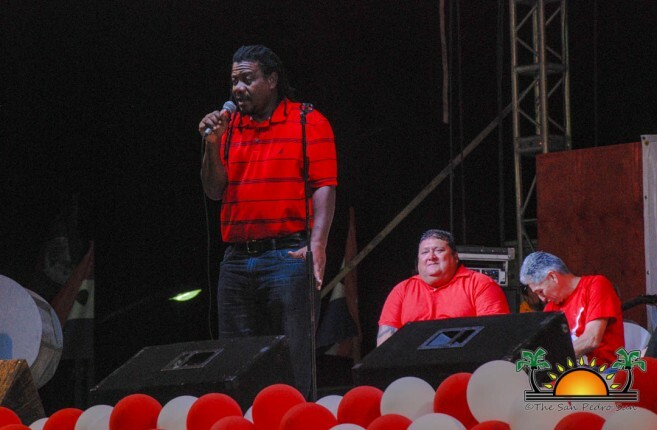 Next up, was Belize City Mayoral candidate Leslie who shared a couple words demonstrating his support towards the UDP slate. Followed by Hon. Castro who also demonstrated his support and invited everyone to vote for the UDP on Election Day. Hon. Heredia then took over by sharing his support towards the current UDP slate. “I believe that this slate has been doing a great job. The UDP is the party that creates opportunities for everyone in all aspects. 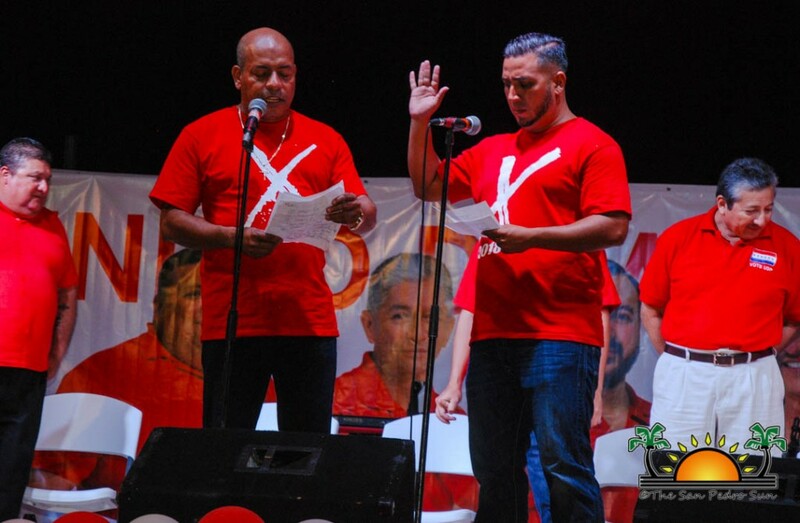 Since Mayor Guerrero took over we have seen a lot of development on the island,” he said. 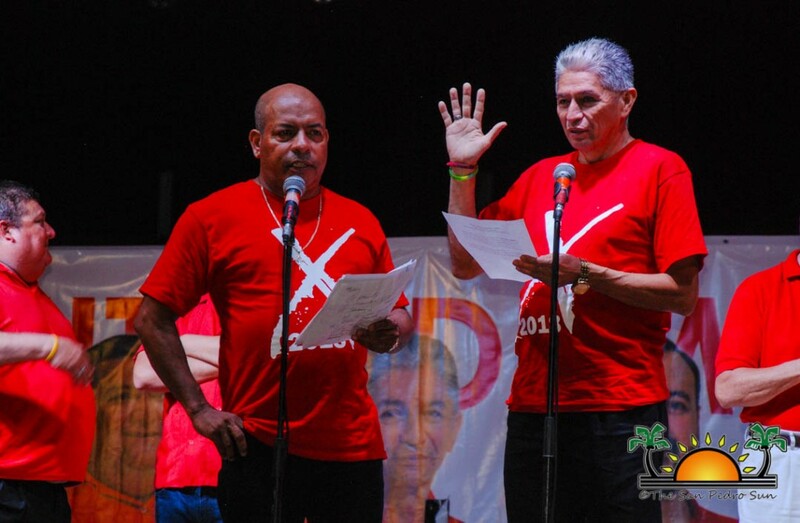 Heredia ended by advising all the attendees to vote UDP on election day. 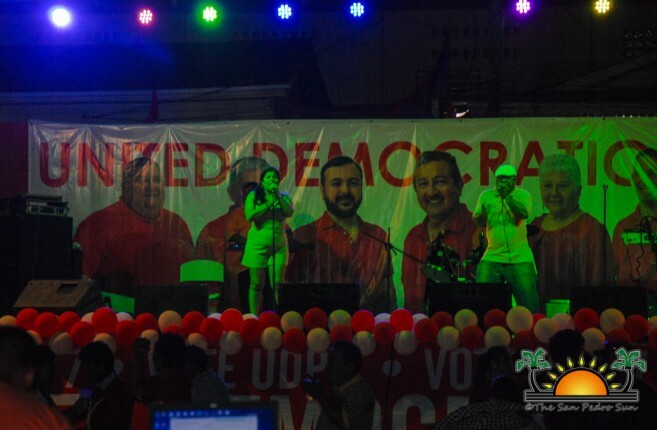 After the convention, attendees enjoyed a live music performed by Super Furia Band, as well as several raffles.